Skye Gravestones | James & Joan (Macaskill) Boyd. James & Joan (Macaskill) Boyd. 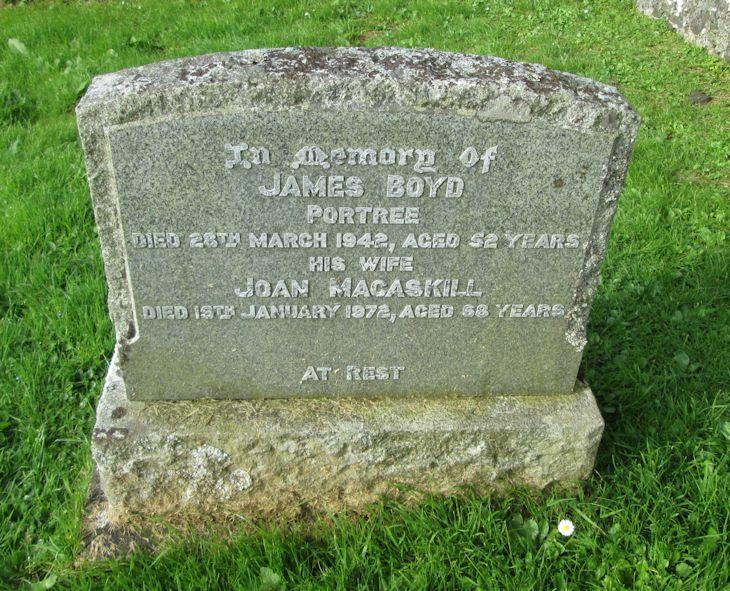 In memory of/JAMES BOYD/Portree/died 28th March 1942, aged 52 years/his wife/JOAN MACASKILL/died 15th January 1972, aged 68 years.